While we have built a respected reputation over the decades for providing sophisticated counsel in complex oil, gas and energy law matters, business law cases and transactions, we also take pride in assisting individuals and families with their legal concerns. Personable and responsive, our lawyers craft estate planning documents and develop divorce and criminal defense strategies tailored to each client's unique goals and needs. Ball Morse Lowe, PLLC, is committed to providing excellent service and sound solutions to our clients in a cost-effective manner. From our law offices in Norman, Oklahoma City, and Denver, our attorneys provide services throughout the Oklahoma City and Denver Metros and in other states, including Texas, Kansas, North Dakota, Ohio, Colorado, California and New Mexico. Why Call Ball Morse Lowe? While we have built a respected reputation over the decades for providing sophisticated counsel in complex oil, gas and energy law matters, business law cases and transactions, we also take pride in assisting individuals and families with their legal concerns. Personable and responsive, our lawyers craft estate planning documents and develop divorce and family law strategies tailored to each client's unique goals and needs. Ball Morse Lowe, PLLC, is committed to providing excellent service and sound solutions to our clients in a cost-effective manner. From our law firms in Norman, Oklahoma City, and Denver, our attorneys provide services throughout the Oklahoma City and Denver Metros and in other states, including Texas, Kansas, North Dakota, Ohio, Colorado, California and New Mexico. Ball Morse Lowe is a recognized law firm that serves clients across Oklahoma and Denver. 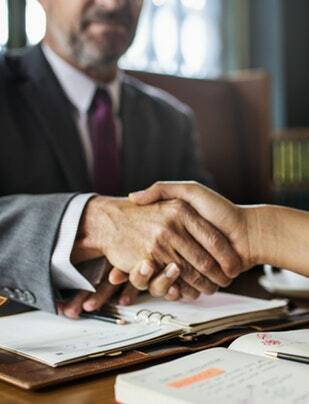 Our lawyers have extensive experience handling a wide range of practice areas, including estate planning, family law, litigation, real estate, oil, gas and energy, business & commercial, and much more. Our firm is devoted to providing each client with all the resources of a large firm but with the individualized attention of a small practice. Unlike many other firms, we have the ability to conduct investigations, hire expert witnesses, and utilize cutting-edge technology to help you build the strongest case possible. The lawyers at Ball Morse Lowe can help you seek what's needed in your case. Our team is standing by to assist you, so call us at (405) 701-5355 to get started with a free consultation with our client intake team. Ball Morse Lowe, PLLC, serves businesses and individuals throughout Oklahoma. As a full-service law firm, we provide legal solutions in matters involving business law, oil and gas law, estate planning, family law and personal injury. You can depend on Ball Morse Lowe, PLLC, for sound advice, sensible solutions and vigorous representation. Call Ball Morse Lowe today at (405) 701-5355 to receive your 100% free consultation with our client intake team. Great advocacy, and excellent at keeping client informed about options. Jennifer assisted us in making a trust, and all of the additional documents that go with it – advanced directives, powers of attorney, etc. She was professional, knowledgeable, cheerful, personable. We are very happy with our association and look forward to doing business with them in the future! I enjoyed meeting and talking with Mr. Bottomly. He was easy to talk to, and I left feeling confident that should I end up needing legal assistance, working with Mr. Bottomly would be a positive experience. Thank you. Quality attorneys representing my wife and me in a difficult situation. Always responsive, professional and advanced the clients best interests. Always had direct access to our attorney. Thanks so much. I recently needed advice regarding a property matter. I was able to make an appoinment in a timely manner and received the help I needed. Mr. Morse not only had the specialized knowledge necessary to guide my decision, he and his staff were kind and considerate. I have used Ball Morse Lowe for both business and personal reasons. Parker Lowe handles my oil and gas issues and Bow Bottomly recently represented me in divorce proceedings. The staff has always been very helpful and even though I am not a big client, they never make you feel that way.